Kizlyar Supreme’s Bloke Z takes the large blade of the Bloke X knives and clips the point to a wicked penetrating tip. At just under 4″ the wide hollow ground blade makes for a good cutter while still having enough meat behind the edge for heavy duty tasks. 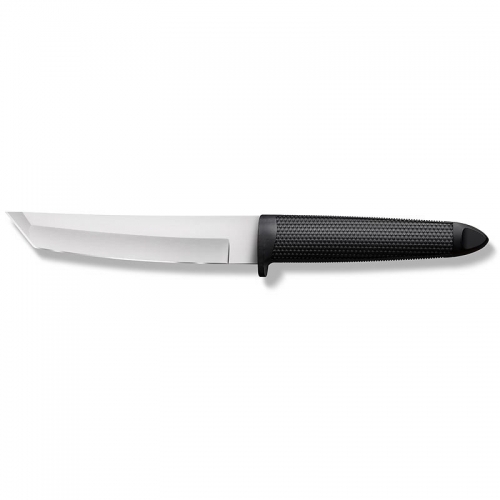 The thin G10 scales and stainless liners mean the knife is not much thicker than most smaller knives, and can carry well as a large every-day-carry option. The knife truly excels on the job site or in the back country. The pattern cut in the G10 is like glue when wearing gloves but not too aggressive for un-gloved hands during extended cutting sessions. 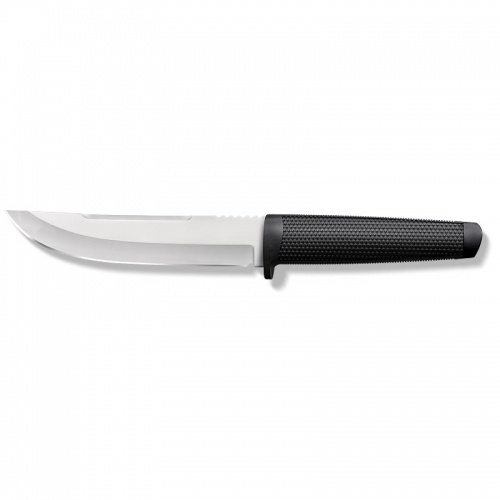 Large jimping on the thumb ramp allows for choking up on the blade for precise cuts. The large pocket clip is reversible for tip-down carry in the pocket or on a belt. Made by Kizlyar Supreme. 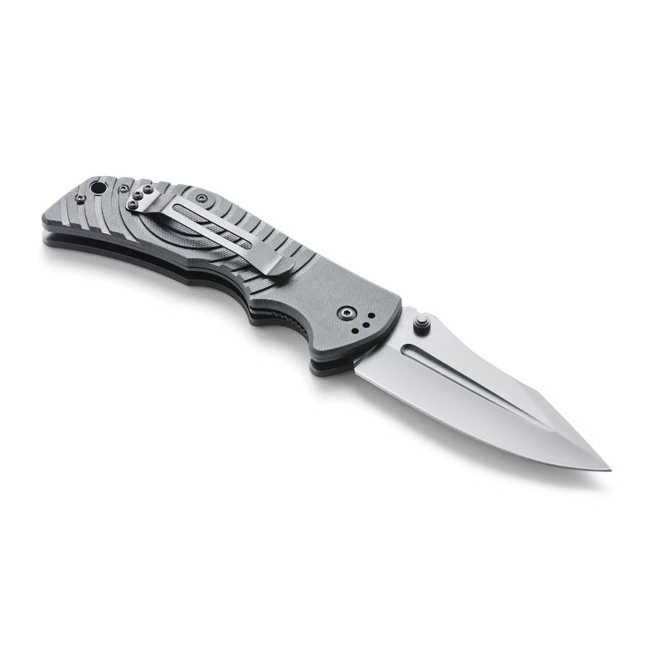 Key Features: Black G10 Handle 440C Steel with Titanium Finish Liner Lock Overall: 8 7/8″ Blade Length: 3 7/8″ Handle Length: 5 1/8″ Weight: 6.75oz Blade Steel: 440C Handle Material: G10 Specs will vary slightly from piece to piece.